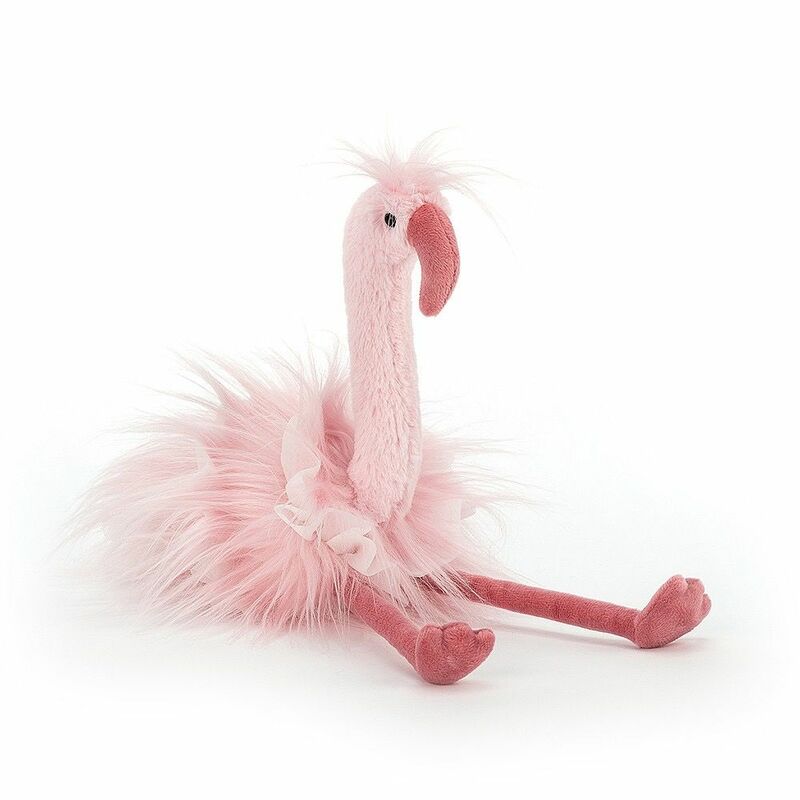 13” Flo Maflingo is such a showgirl, in playful bubblegum pink! 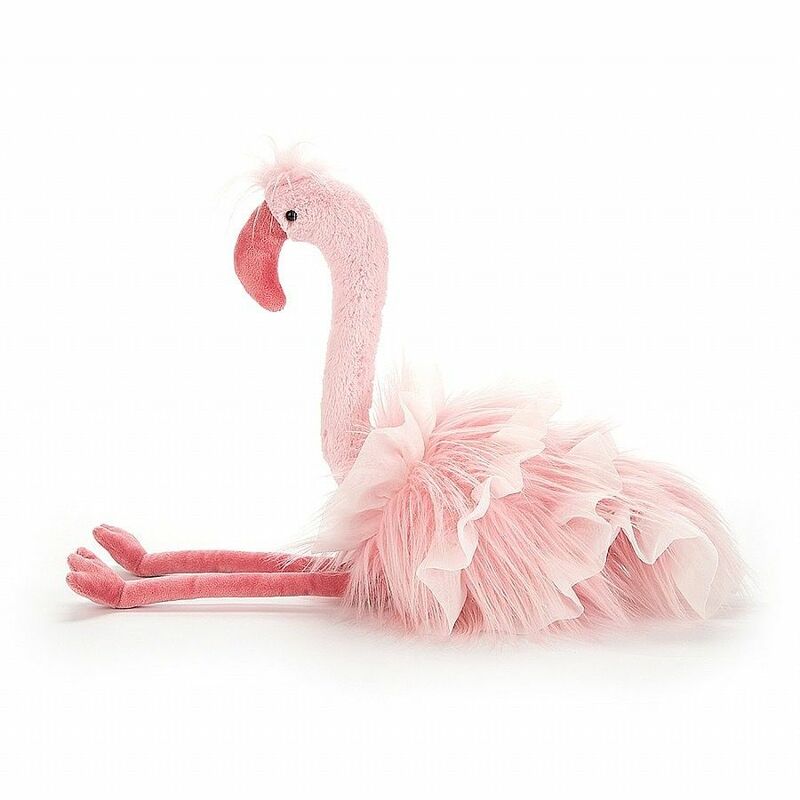 This fuzzy flamingo has powderpuff plumes and sweet mesh frills in candyfloss pink! She's a cabaret star with her lopsy legs and snuggly, squeezable beak. Her stiff neck stands up for posing power, and up on top, she's got a shock of soft pink fur. Go on, make a splash! Hand wash only; do not tumble dry, dry clean or iron. Not recommended to clean in a washing machine. Check all labels upon arrival of purchase.